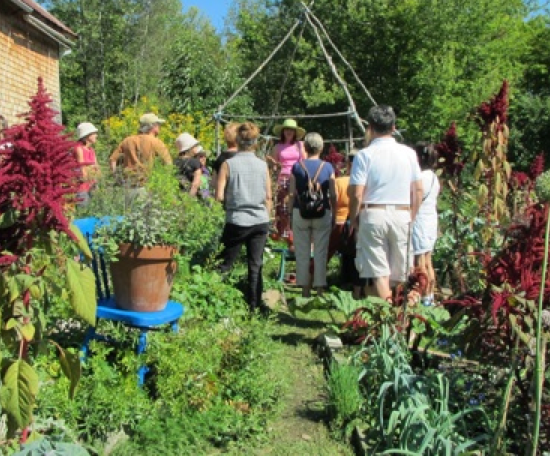 My work at Abbondanza allows me to connect my garden to the world and that has always been my vision for this farm and what I do here. Creating beautiful sustainable gardens is my passion, the intention of my work and the source of much of my activism. I have written, made films and lectured extensively on the subject of gardening and ecological food production and have been fortunate enough to visit some of the world’s great gardens. Many years ago I left behind my work as an award-winning documentary filmmaker to pursue my inner farmer and became a full-time resident of Dunkin, a little hamlet near the town of Mansonville in the beautiful Eastern Townships of Quebec. Here on my farm, Abbondanza, I have expanded my love of gardening to raising much of my own food, and caring for the piece of land I am lucky enough to live on. I believe that it is both a privilege and a responsibility to be as actively involved as we can be in growing the food we eat, as well as understanding where and how our food is grown. The more aware and engaged we are in providing ourselves with the basic requirements of our lives, such as food, and the closer our relationship is to the natural world, the more positive our relationship will be to our planet and the others who share it with us. For many years I have worked closely with Seeds of Diversity, a national seed-saving organization dedicated to protecting the biodiversity of our food crops by encouraging people to grow and save the seeds from open pollinated heirloom plants. I share their goals and commitments and my work with them has shaped both my agricultural and horticulture practices and my activist and educational activities. Over the years I have also given much thought to how we garden and to the importance of insuring that our practices are as sustainable and “green” as we can make them. It is my great pleasure to share my love of growing plants and food with others. 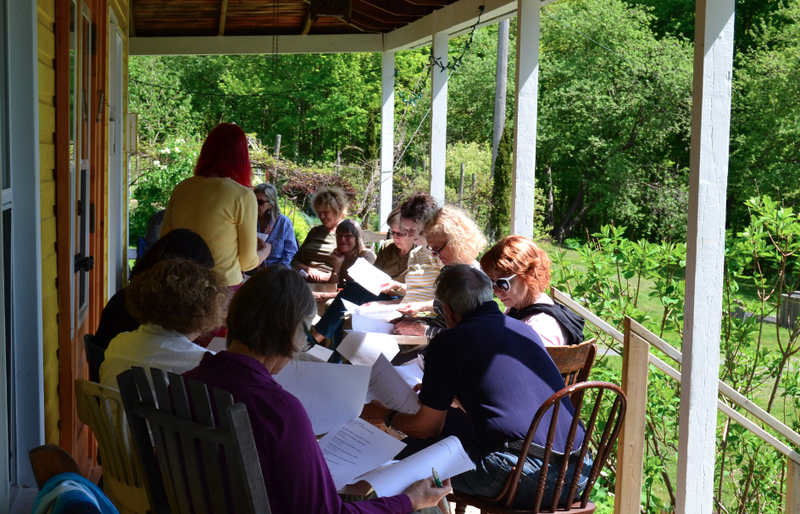 In 2012, I held my first workshop at Abbondanza and each year the list of workshops available expands. Click here to learn about this year's workshops! 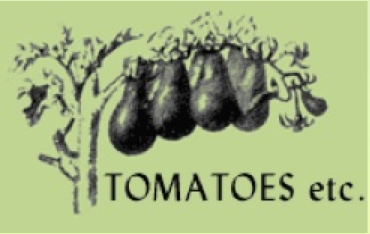 More than fifteen years ago I started Tomatoesetc. 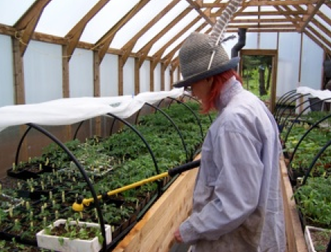 supplying Quebec gardeners with heirloom seedlings (including 50 varieties of tomatoes), to encourage and enable them to grow the older varieties of vegetables, herbs and flowers. That work continues at Abbondanza today. Click here to learn more about the varieties grown at Abbondanza. I get to live my fantasy of being aTomato Princess in the Mansonville Multi-Cultural Festival parade.